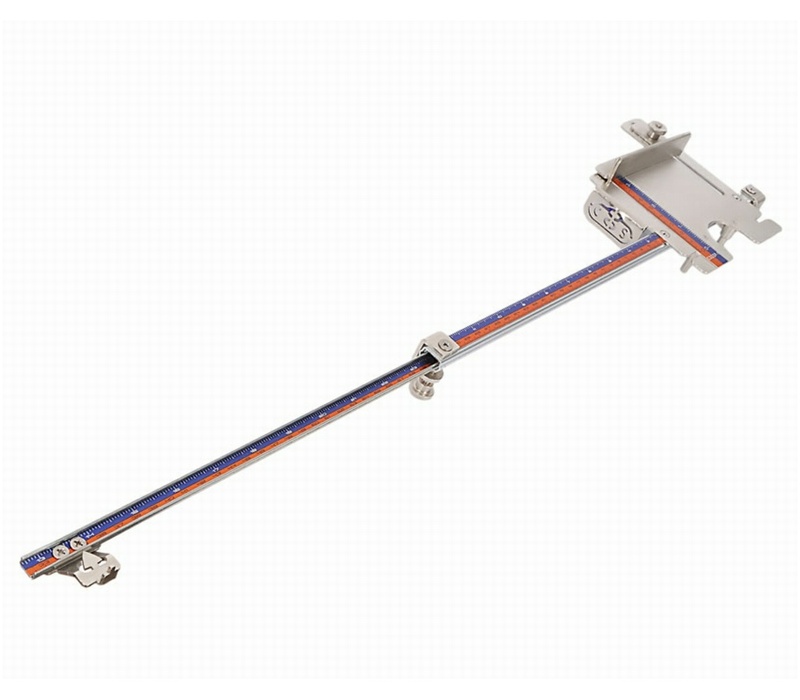 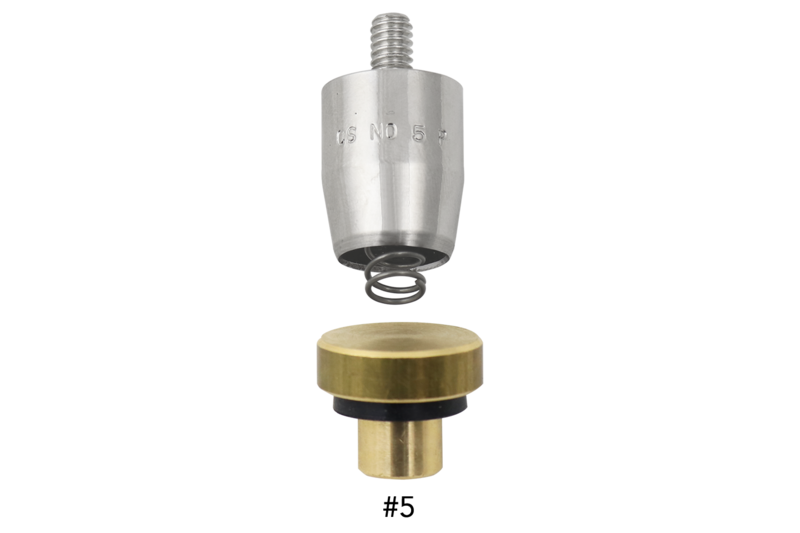 Improve speed and accuracy while attaching multiple, evenly spaced metal grommets to the same piece of work with this INDUSTRY-FIRST grommet alignment fixture! 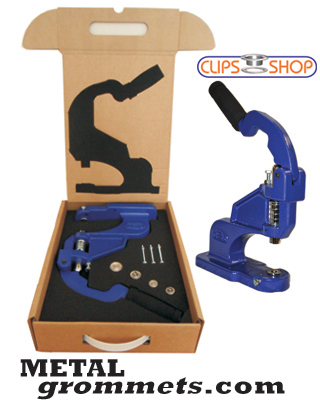 The professional-grade ClipsShop GrommetSniper, made exclusively to fit the CS-TIDY-41 & CS-TIDY-51 portable pneumatic grommet setting machines and the CSTEP-2 professional hand press, lets users precisely space grommets 5/8" to 3" from the edge of their substrate and uniformly locate the distance between grommets from 2" to 24" apart. 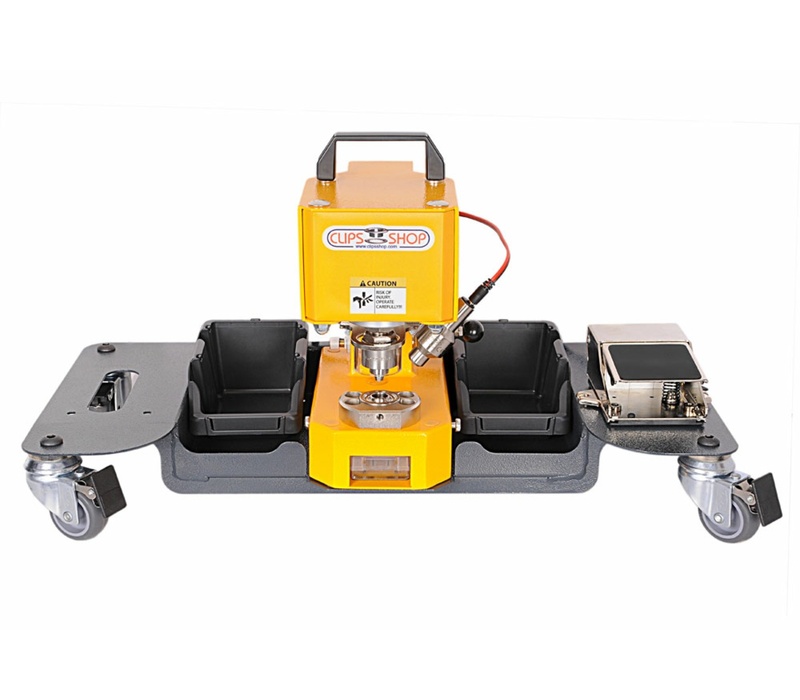 Simple to install and easy to use, this durable steel alignment fixture mounts securely to the base of the CSTEP-2 bench press & CS-TIDY-41 / 51 pneumatic grommet machine and is fully adjustable. 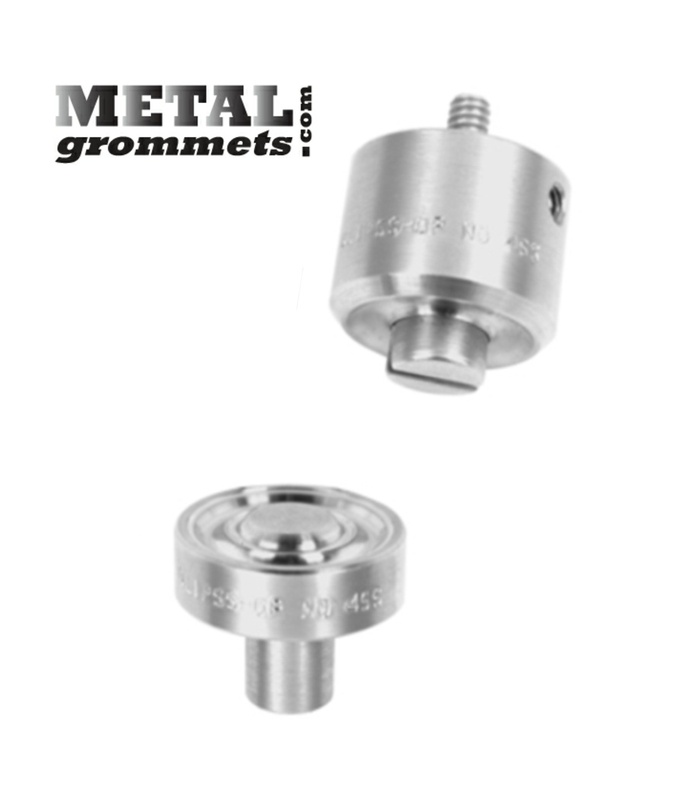 Featuring laser etched inch and metric markings for ease of adjustment, the GrommetSniper requires no special tools and once set can be locked into place using finger wing-nuts. 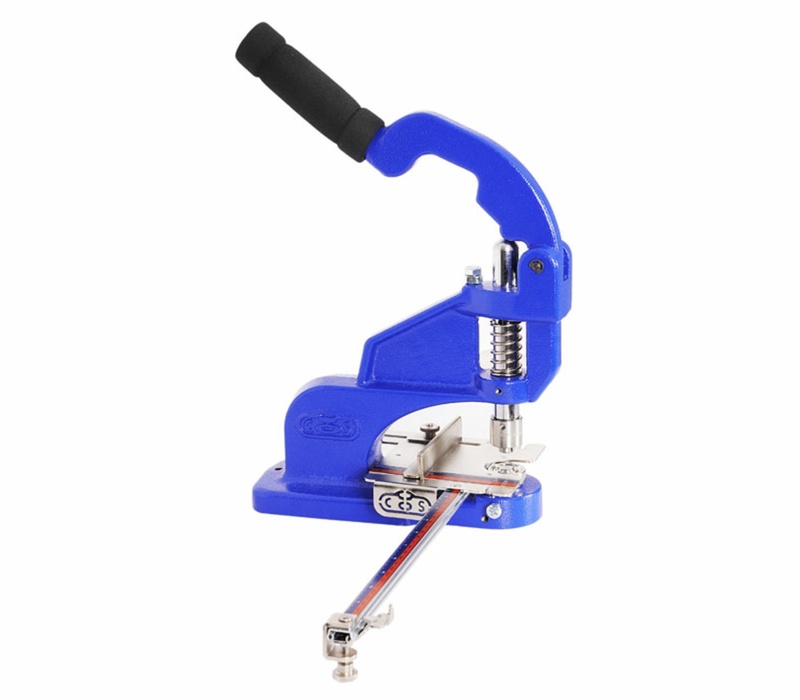 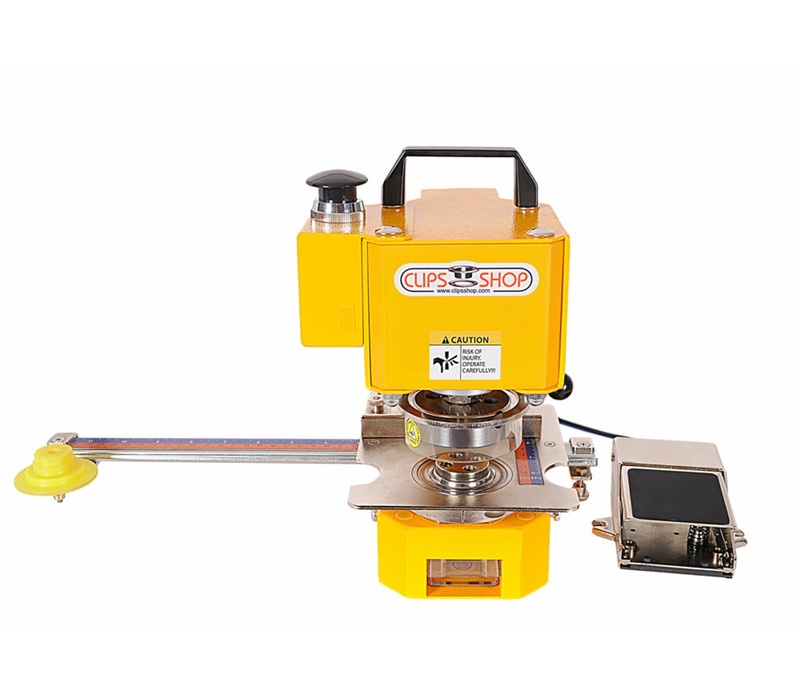 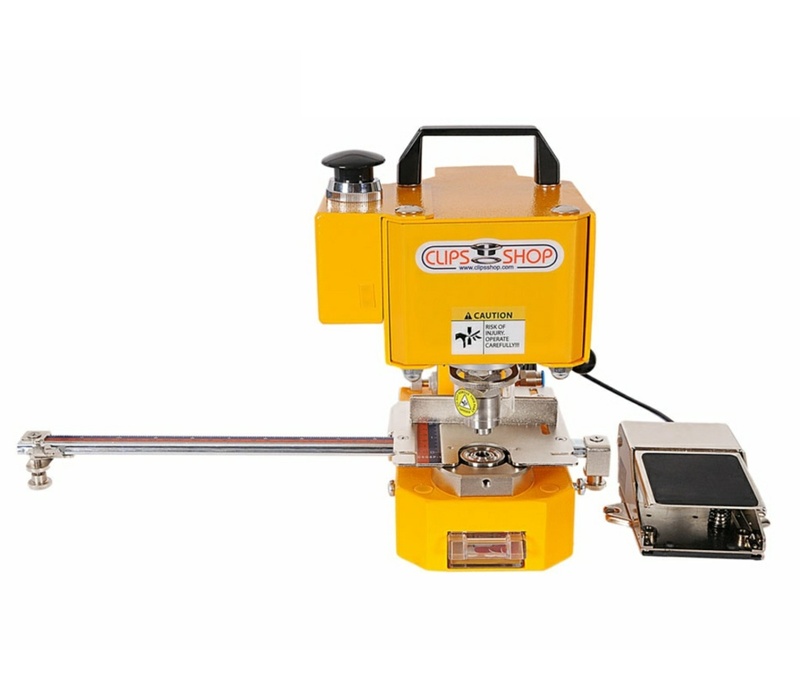 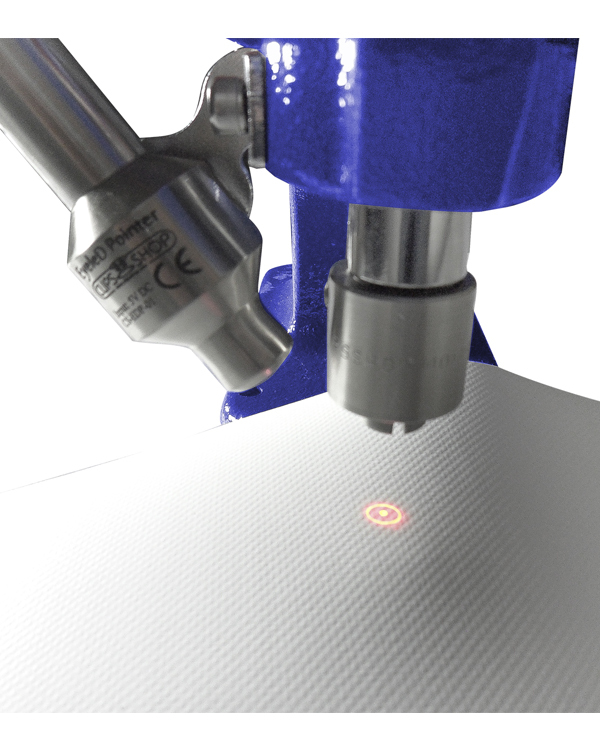 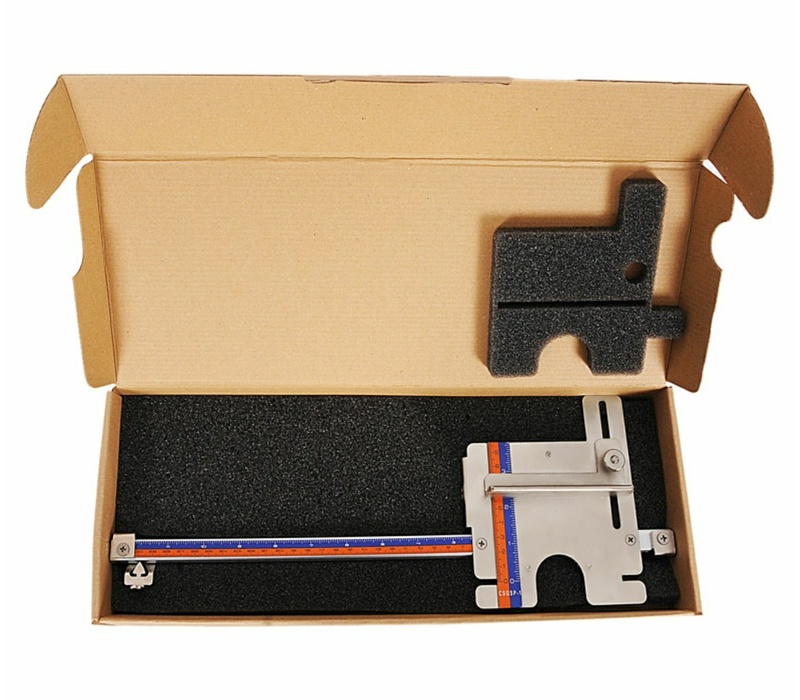 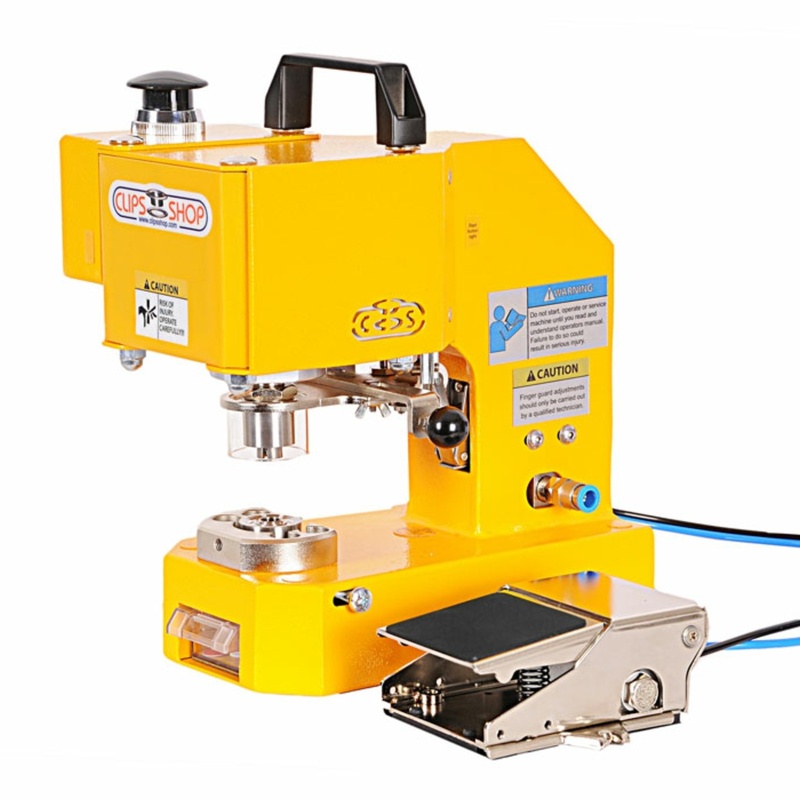 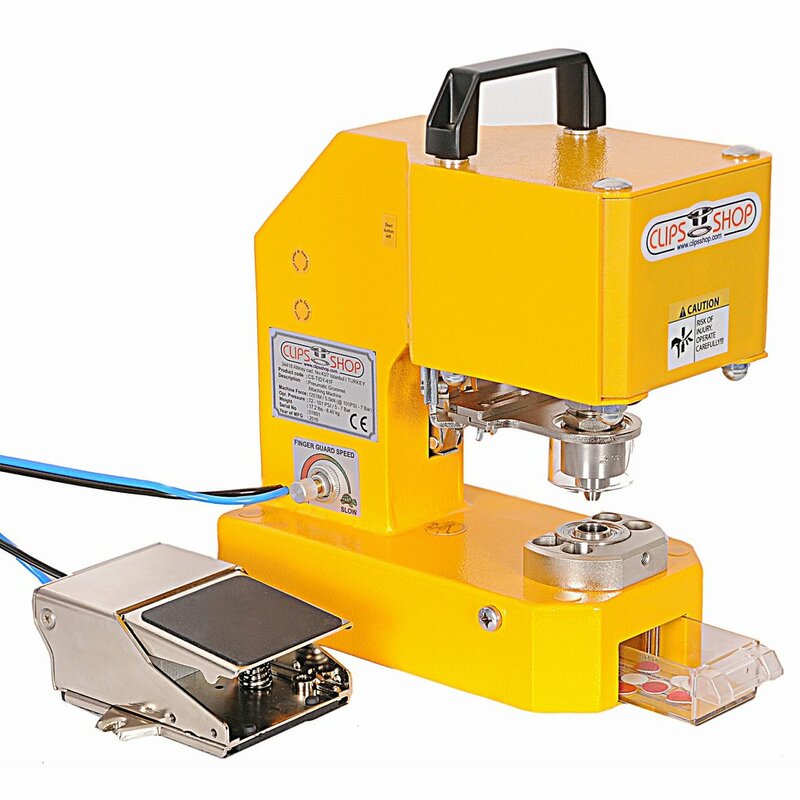 See the CSTEP-2 hand press and the CS-TIDY-41 pneumatic grommet attacher here! 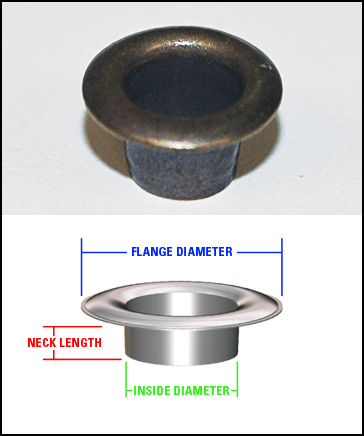 Buy grommets or a complete package deals including a press, attaching dies and grommets. 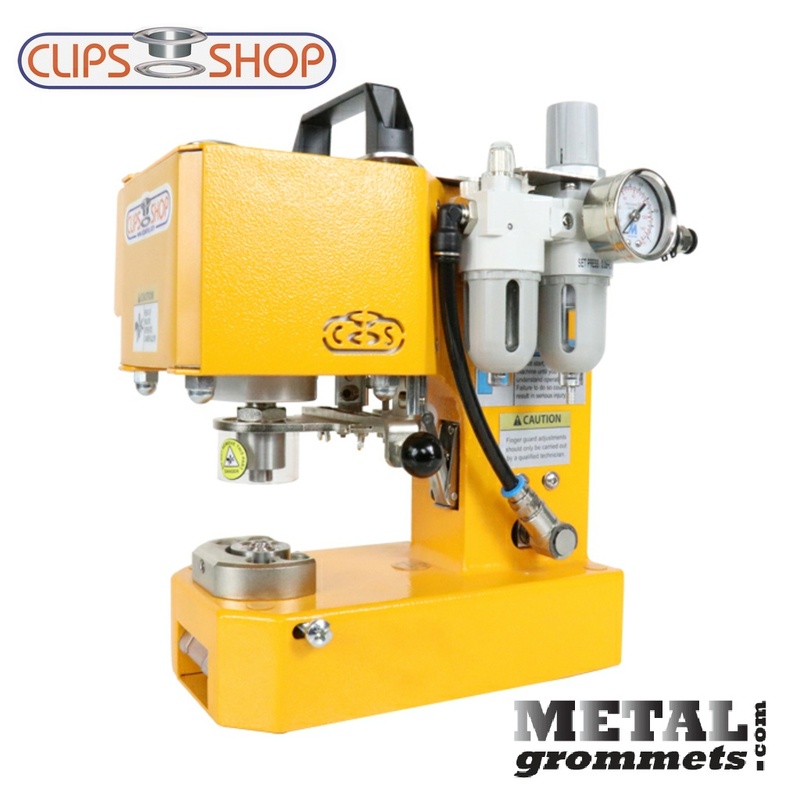 NOTE: The GrommetSniper is an accessory for use with the ClipsShop CSTEP-2 bench press and CS-TIDY series pneumatic grommet attaching machines. 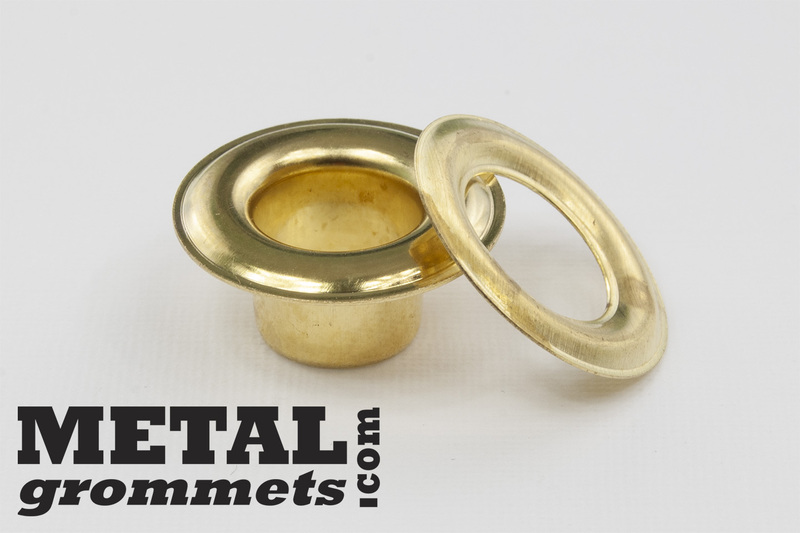 Grommet presses are sold separately.